Love is in the air, as they say. From the media buzz surrounding the Royal Wedding to my feed on Pinterest, clearly, people are interested in all-things nuptial. For those planning a wedding, there are colors, flowers and dresses to choose; photographers, videographers and DJs to book; appetizers, entrees and cakes to sample; and, of course, a venue to secure. According to Fundera, wedding services in the U.S. are a nearly $60 billion industry. Clearly, the details matter to couples. But one of those details just might make all the difference if you’re planning to stay married for a lifetime. In fact, former Ignited By Truth speaker, Scott Hahn would probably agree that where you get married not only effects your long-term prospects, but those of society at large. God is everywhere, some would argue, so why does location matter when it comes to saying, “I Do”? 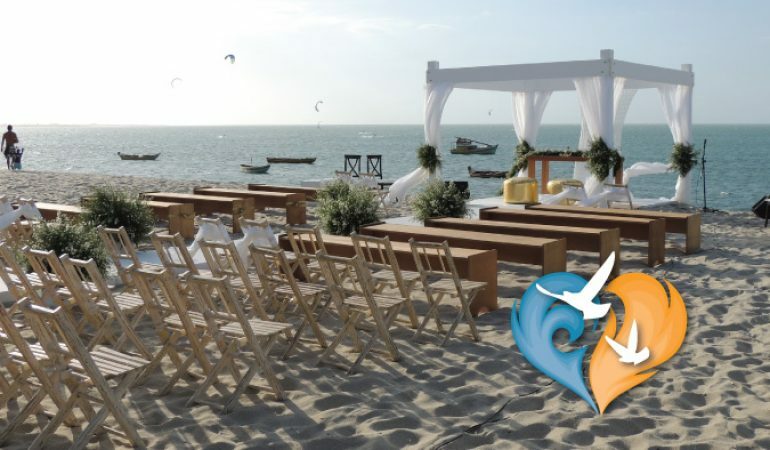 What’s the difference between a beautiful, beach wedding officiated by the Justice of the Peace and a marriage celebrated in the Church? According to the Catechism of the Catholic Church (CCC), the matrimonial covenant, between a baptized man and woman, was raised to the dignity of a sacrament by Jesus. As such, the Church requires that it follows the ecclesiastic form. So, in layman’s terms, Christ raised the dignity of marriage to something more than a ceremonial enterprise. He established it as a sacrament, along with Baptism, Reconciliation, Eucharist, Confirmation, Holy Orders and Anointing of the Sick. Thus, as a sacrament, marriage imparts sacramental grace on the spouses. And, according to Father Raymond J. de Souza, this grace unites the couple in an indissoluble bond and provides a source of divine assistance. That assistance enables the spouses to live their marriage vows ’til death do them part. Anyone who is married knows well the joy and struggle of family life. For though two become one, that doesn’t mean they abandon their individuality and find common ground on every issue. Therefore, in his mercy, God did not abandon sinful man (and woman). Just as the punishments imposed on Adam and Eve after their original sin provided the antidote for the effects of sin, so too, marriage was established by God, from the beginning, as an aid (to each Mr. and Mrs. in the short-term and humanity in the long-term). Marriage, faithfully lived, enables husbands and wives to overcome self-absorption, egoism, pursuit selfish pleasure, and to open themselves to each other (CCC1609). Of course, Jesus told us that, because of the hardness of hearts in Moses’s age, God, the Father, allowed men to divorce their wives. But, Jesus unequivocally taught that divorce was only a concession, and a temporary one at that. The Son of God came to restore the original order of creation. And part of that restoration included reaffirming the indissolvable nature of matrimony. What About Photographs and Personalities? 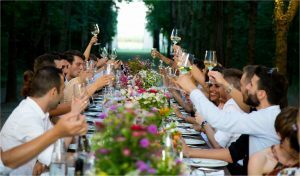 So, although, an exotic backdrop makes for gorgeous wedding photos and a farmhouse venue expresses the couple’s whimsical personality, only a sacramental marriage gives the spouses real grace to live out their union. And who could refute the obvious advantage of seeking the Creator’s help? The $60 billion wedding industry offers couples more choices than ever before. But, if a couple wants to express their creativity or honor the location of their first meeting, they’d do best to use the reception venue as their blank canvas. First, they should claim the sacramental grace available to them by exchanging their vows in the Sacrament of Matrimony in their parish. Then, they can meet-up again with guests and dance the night away at their favorite park, beach or backyard location. Following this prescription insures the couple not only has a stock of cherished wedding photos to look back on in time, but they’ll have a lifelong source of blessing to draw from in sickness and health, in riches and poverty, ’til death do them part. If you would like to purchase Dr. Scott Hahn’s 2018 IBT talk “The First Society: The Sacrament of Matrimony and the Restoration of the Social Order,” or any of the other MP3 recordings from the conference, go to our store.